On March 19 a new game server will open! 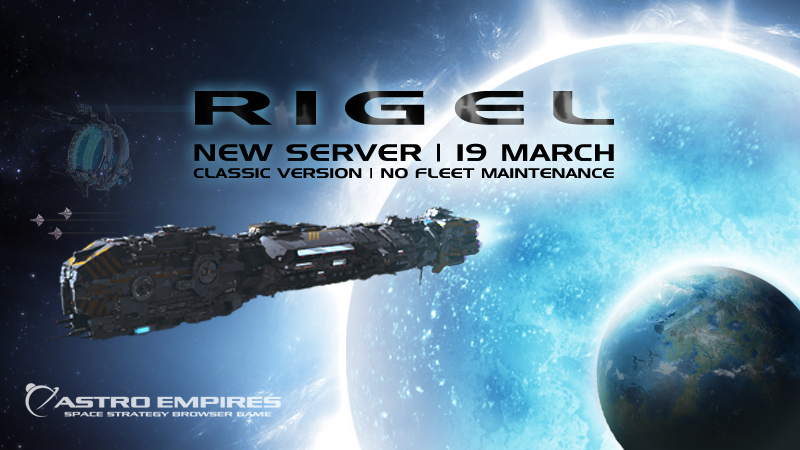 The server will open on March 19 at 17h00 (GMT+1). Thanks to Peter Roddom, Morgan Tysor and Eddy Tauber for the server name suggestion. Rigel is the brightest star in the Orion constellation.